If you’ve ever dropped someone off at an airport on the Wednesday before Thanksgiving, you know that finding even the tiniest amount of space at the curb to wedge your car into is near impossible. As you battle for curb space, you may not be seeing dollar signs—but cities are starting to. As Karen Hao writes in Quartz, “The humble curb is quickly becoming the city’s hottest asset.” With the rise of transportation network companies like Uber and Lyft, more and more drivers are looking for places to pull over for periods of time. Add to the mix delivery trucks also vying for that space, and you could be heading for a real congestion headache. Recognizing that this problem is only going to increase as we move towards a driverless future, some cities like Washington D.C. have taken a first step towards treating curbs like commodities—they are inventorying and digitizing them, starting with their loading zones. By digitizing that data, they can begin to measure supply and demand for curb space and charge accordingly. As the author of the Quartz article notes, DDOT started charging higher prices for the use of certain loading zones using the data it had collected. Curb space is hot and as parking becomes, well, less hot, the loss of parking revenue is going to have an impact on municipal budgets. Charging for curb space could be the way of the future. Want to know more? Join us for the Urbanism Next Conference March 5-7 in Portland, OR and check out the session on the Future of the Curb, featuring Gillian Gillett with the City of San Francisco, and Allison Wylie of Uber. Come hear what they have to say about the city’s hottest asset! Communities get few moments to rethink their streets and make decisions that will serve the basic purposes of transportation, address urgent challenges like climate change, rising obesity, social isolation and conflict, and expand opportunities for general happiness throughout society. Such a pivotal moment is upon us, as autonomous vehicles represent a potentially disruptive technology that can re-make the city for good or for ill.
Urbanism Next has released a new report delineating ways our communities can begin repurposing their most common public space – the streets – to better serve public uses. Driverless cars may need less parking, narrower lanes, and may be able to occupy bi-directional shared lanes, all leading to a significantly reduced need for road space currently used to move and store vehicles. Where driverless cars are primarily available as fleets where users are buying rides instead of vehicles, the space savings may be more significant. City planners, policy makers and community residents have a unique, and immediate, opportunity to rethink their streets with purposeful and creative consideration about how this critical public good may best serve the public for generations to come. Read this Urbanism Next report to learn more. And to see other Urbanism Next briefs, visit this page. One of the biggest assets any city owns is its streets. And since no driver likes to be stuck in traffic, the predominant fix to congestion for the last 60 years has been to expand the street right of way to add more lanes. Time and again, this new road space only leads to more car trips and the very congestion street expansion was supposed to fix. There are a a lot of new experiments going on across the country about this problem, often by re-allocating some of this public space for other public uses like bike, pedestrian, or transit spaces, or to re-purpose parking and lanes for leisure (think parklets) or ecological function. 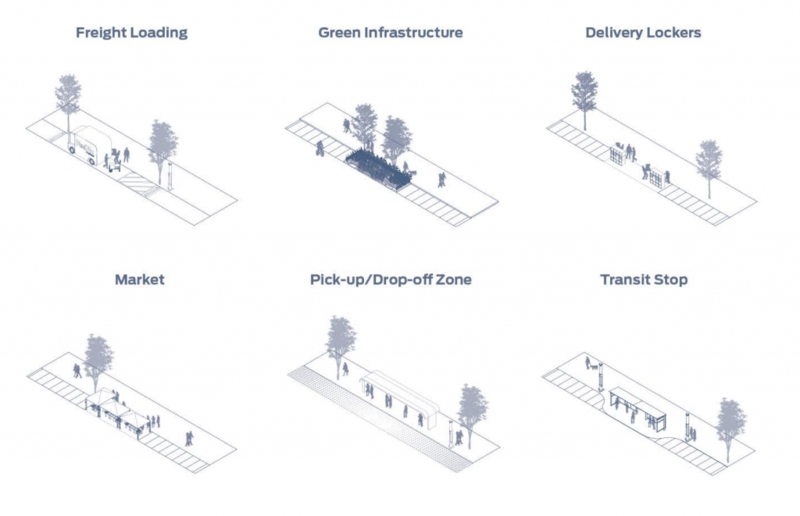 These types of efforts recognize the trade-offs in use of the street and figure that if a community can’t solve congestion, it can at least provide more efficient transportation alternatives and better use of this public space. But what if a community simply banned excess cars to eliminate congestion, thereby taking a more active role in the management of its street right of way? Not banned cars to create a car-free utopia, but simply banned excess cars? This is the idea of Leonia, New Jersey, which is upset by being a vehicle shortcut preferred by navigation systems like Google Maps and Waze. The excess ‘outsiders’ are causing severe traffic issues and the approach of Leonia is to give tickets to anyone outside the community driving in certain areas at certain times. While I have significant concerns about a city banning outsiders as disturbingly exclusionary, especially on the use of public streets for legal purposes, what is intriguing in this story is the appetite to seize greater control of the public right of way to help carry out the community’s values, which in this case is congestion-free streets. While the approach of banning outsider’s cars from public streets seems misguided and unnecessary (just do traffic calming to reduce speeds locally and they won’t be attractive for commuters), proactively deciding how the street right of way will be accessed is a critical issue for cities beginning to think about how autonomous vehicles alter their future. AV companies require access to the right of way to operate and right now may be a unique opportunity for many cities to decide what parts of town are accessible by what types of vehicles. AVs will require local maps that include where they can and cannot go, so while it may not be wise for a community to outlaw non-residents from its public streets, cities can restrict what types of vehicles can go where. This is an important consideration as autonomous vehicles roll out much faster than most cities are planning for their implications on traffic, land use, or general quality of life issues. Cities must remember that they own the transportation pipeline – their streets – that AVs will depend on and utilizing this asset to achieve community goals is something that cities can proactively control. The deployment and impacts of autonomous vehicles, the sharing economy, and e-commerce are going to impact different parts of metro areas differently. How street space is planned in the suburbs will be much different than in denser, mixed use urban areas or nodes. For the walkable or bikeable places of our cities – which are increasingly in demand – it is not clear how to make a workable mix of autonomous vehicles and walking/biking human beings. One solution is to completely segregate the modes since any human can stop a vehicle simply by being present in front of it. Another approach is to criminalize that behavior (vehicles will have cameras and spatial location and knowledge of traffic light status, after all, making it easy to take a picture and send an automated ticket), and another option is to simply eliminate the car from urban spaces and prioritize walking, biking, and transit since they are the most efficient ways of getting about (and healthy, less polluting, and happy-making). This article from the Guardian nicely frames these issues. Which alternate future do you want? The typical U.S. commute trip fills a multi-seat car with a single human being (25% of capacity) and that car sits idle most of its existence (90% of the time). This is an inefficient use of our limited roadway capacity, land for storing vehicles, dispersed settlement pattern and provision of services/utilities, use of fossil fuels, etc. But imagine if we look back at the single occupancy vehicle as a golden age of efficiency? Autonomous Vehicles don’t need drivers, meaning that if we own them personally, many trips by car will be taken with no one inside. An AV could drop you off at the market and circle the block until you are done. It could drop you off at work and return home or other remote parking space. An AV could be summoned to pick up your child at school and take her to soccer practice. While there is certainly some convenience in any of these scenarios, a good portion of all those trips will have no occupants and thereby taking up limited and valuable space on the street. This article by Howard Jennings of Mobility Lab discusses three ways to apply the principles of Transportation Demand Management (TDM) to AVs: 1) “policies should always seek to encourage AVs that move more people in fewer vehicles”; 2) “pricing models offered by automotive and tech companies should be structured to make shared AVs, not personal AVs, the model of choice”; and 3) city pricing models should be structured to disincentives the least efficient mode of transportation. including a fee for zero occupancy vehicles.